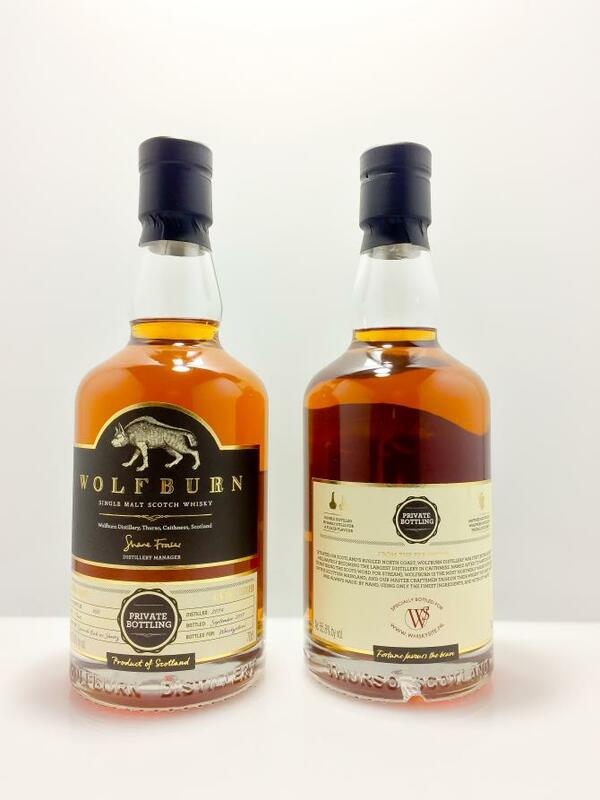 Wolfburn already has quite a few bottlings despite the young age of their malts. Many of those are private casks and limited bottlings. 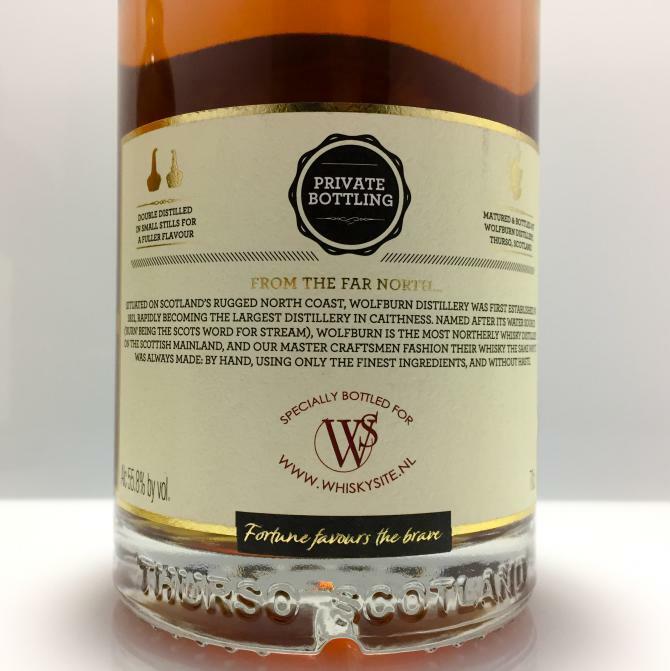 This is one of those, bottled especially for the Dutch online shop whiskysite.nl. 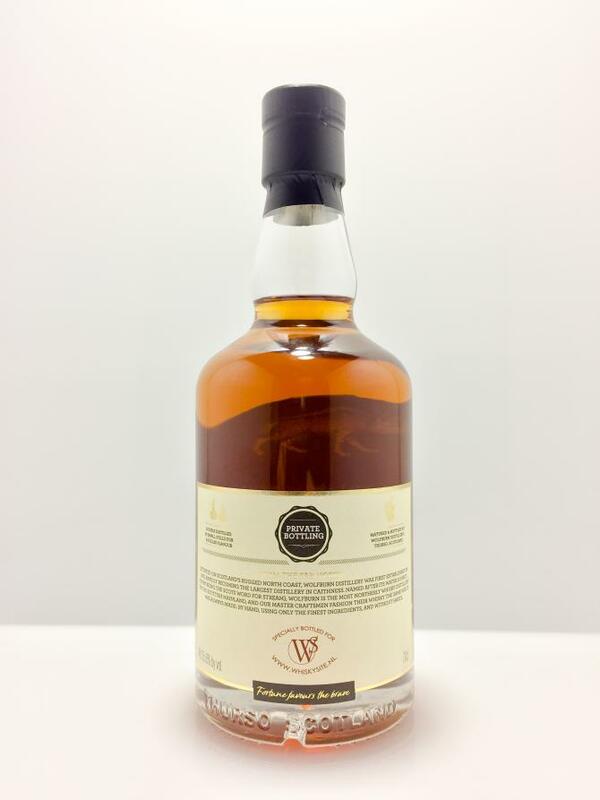 It matured on Spanish sherry casks and was bottle at cask strength after three years. The nose is pretty herbal with something that reminds me of cow pat, half decomposed plants and stale, dark beer. Luckily it also has some sweetness like orange marmalade and ‘koetjesreep’ (fairly tasteless Dutch chocolate), but in all honesty this nose does not make me jump up and down in excitement. Adding water does not help. On the contrary, it adds lots of rubber on the nose. The body is just fine, the spiciness under control and the whisky sweet from the sherry cask. Again a marmalade of oranges, upholstered with raisins and some plums. Quite some tannins, though, making it lose quite some points in my book. Diluted it’s just a tad better. The fruity notes are more pronounced and hide the somewhat less attractive notes – which are plentiful, I’m afraid. The finish is rather short and sweet without water, but becomes pleasantly fruity with a good dollop of H2O. Not a bad Wolfburn, mind you, but I’ve had much better. Bad wood? Who’s to say? Anyway, not a grand one in my book. Thanks, Tom, for the sample. It's a nice one, but don't expect miracles from a 3yo. It's very much a cask whisky. Wet new oak, a sprinkling of rye flour and sawdust, and some pepper. Then sweetness from the cask, and yeastiness. A beer left in the sun. The cask comes in first, then the rye flour-tasting distillate I remember from a previous Wolfburn. Some petrol, cheap chocolates, and jam. With water it's almost a different whisky. The body's much better, and the sherry sweetness develops enough to balance out the less nice tastes. I'd give this a 70-something score neat, so water helps a lot. Minimal, fast and tangy neat. With water the sherry fruitiness lingers around for a while. 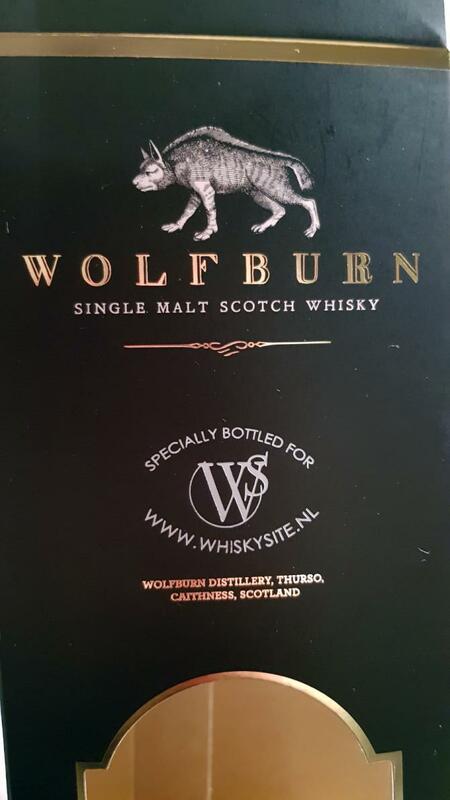 Finally a good Wolfburn! The nose is the only weaker part! CS improves a lot! Sherry. Milk caramel, fruits, honey, vanilla. Powerful and surprisingly matured. Spicy oak, creamy milk caramel and honey. Pepper and ginger. Great candy like nose: sweet, with body. Like being in a candy shop. 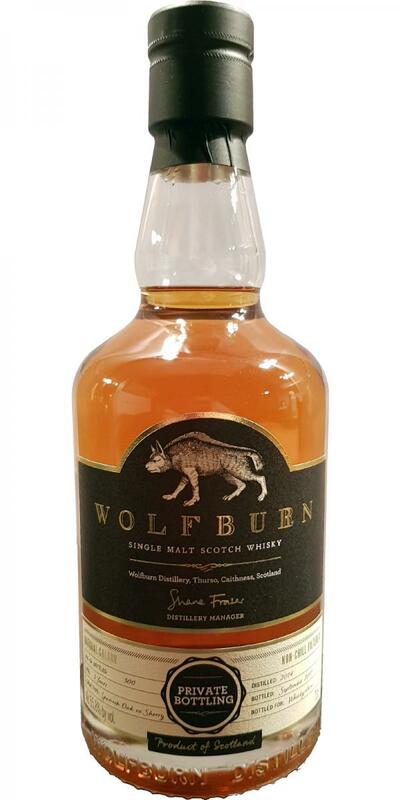 Taste really Wolfburn, but really mature. Full taste. Changes during 20 minutes. Cinnamon, vanilla, dark fruits. Taste remains long in the finish. 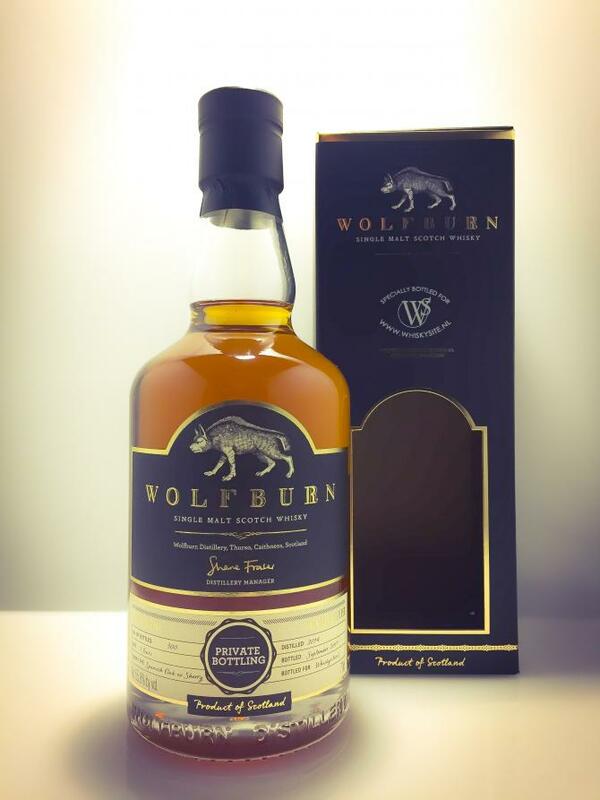 Finally .... the first Wolfburn who completely convinced me.